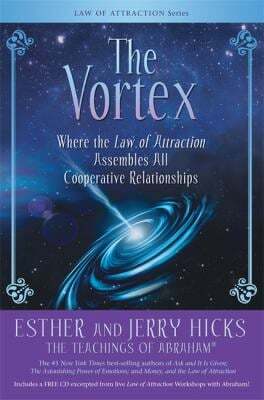 Well, the first book of my reading challenge, the book that has been Adyar Bookshop's bestseller this year, is The Vortex by Esther and Jerry Hicks. I must admit that I approach this book with some resistance - I find the Hicks/Abraham (Abraham is the entity being channeled by Esther Hicks) books difficult to read, in the manner of most channeled material. It's not that I'm being snobbish about the books' content or the potentially bizarre method of collecting content (i.e. spirit channeling). It's just that channeled books are mostly just transcriptions of talks and trance sessions, and as such they can make for deathly prose. The spoken word is a very different medium of expression to the written, and this is made abundantly clear in most channeled books. They tend to be marked by their repetition, their dullness, their fabulous non-sequiturs and their lack of attention to logical progression. This is, of course, how we all speak, and there's nothing to be ashamed of in that. It's just that when reading the average mind demands a lot more rigour, and a lot less pointless rambling. To my mind these channeled books could be improved immensely with some rigorous editing to cut out some of the problems I've mentioned. Their message would then be much stronger, much more accessible and much less open to the attacks of nitpickers like me. 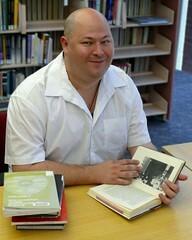 But there, I've had my say, and I'll try not to go on about this subject as I explore the book. I'm actually going to read it patiently for the purposes of content, rather than style. The Hicks' are prolific producers of this material, and it seems that no utterance passes poor Esther's lips without it being recorded as an audio CD, a DVD or a book. Of course, the central claim is that these utterances aren't hers at all - they are the words of a collection of disembodied beings (plural) who call themselves Abraham. So the book takes the form of a dialogue between humans (mostly Jerry Hicks, Esther's energetic husband) and Abraham. This means the book is cut up into myriad different, frequently unrelated, passages, making it easier to read in bits and pieces. The theme of the book is "relationship" - not so much romantic relationship as human relationship. Actually, in what I've read so far it seems to be more about one's relationship with oneself, a distinctly new-age preoccupation, and perhaps the reason the book has sold so well. It makes some pretty big claims for itself - that after reading this book you will be transformed, and your relationships changed forever. We shall see. The central premise is that everything we do in life is the product of relationships of some kind - that the human state is one of relating. The ultimate experience is, in fact, a social one, and that the true key to happiness lies in our truly understanding such society. It's an interesting idea, and one which I'm sure has a parallel somewhere in classic philosophy or modern social science. I shall have to keep an eye out for it. I'm not quite sure what the significance of the title - The Vortex - is, just yet, but I'm sure I'll find out in the course of things. I do like it though - I think it was the title of Noel Coward's first play, which was a scandalous success about drug addiction. I think I would find reading that more enjoyable than my current task, but I must stick to my resolutions.